Feel free to download the map to use personally, or publicly. 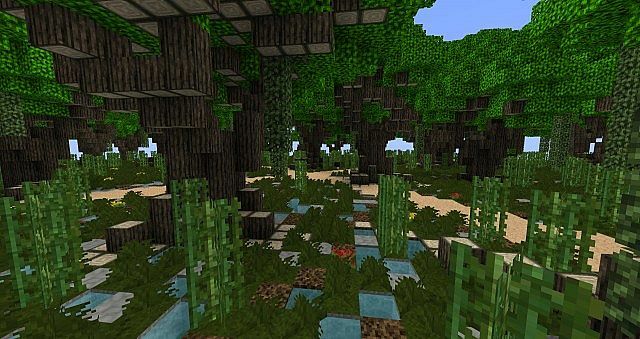 However, you must credit EpicQuestz via a link to this PMC post or our website. DO NOT re-host without crediting EpicQuestz. 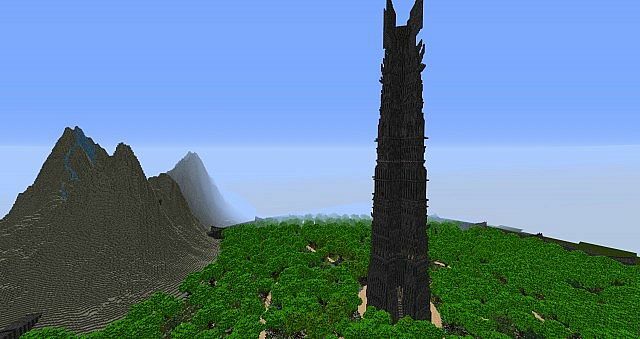 The path of Isengard southwards. 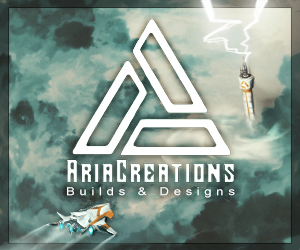 Updated download link to new website. Why the Tower is taller than the mountains? We used the max world hight for the tower, so we didn't have any space left to make mountains higher. Hey uh, just wondering, I know that you use the Empire War texture or Atherys Ascended (I have both) But which texture pack did you use in order to make the cobblestone black? We used Athery's Obsidian/Bedrock (can't remember which) texture and replaced the cobblestone texture with it. OOOOH. makes sense. ty. Do you think that texture would look good on the Black Gate? 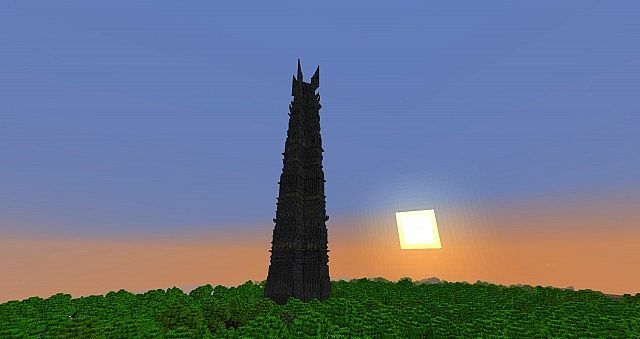 I'm sorry, I would like to build your own work in survival on a server, of course I will give credit to you, but I want to know how tall the tower, because survival in the floor is at 60Y! How high is the floor? And the most high? 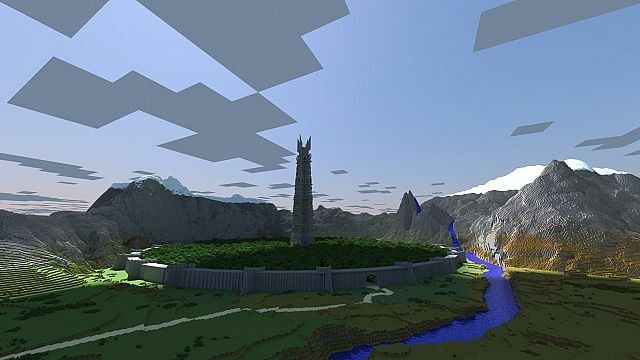 Will you ever release a big worldmap with all your LOTR builds on it? 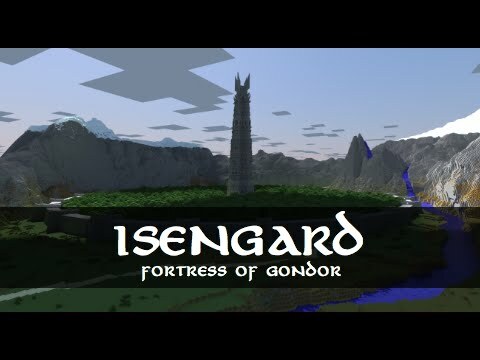 We actually have this version on the Empire War LOTR Siege Server, it will eventually be up for download. 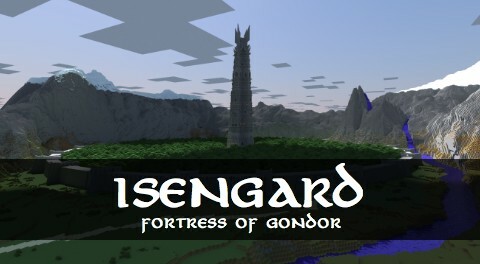 love your LOTR maps, but what is the texture pack? I really enjoyed this map and the tower was AMAZING! But in my opinion the walls are a bit... blocky. Could use a more detailed wall like slices in them and more not so smooth like texture because Orthanc was chiseled from stone. Other than that, it was amazing! The renders have been made using a program called Chunky, they're not made in game. That is ... incredible. How many of you are there? This project was worked on by six of us. Featured at the Minecraft Monday show! I'm very glad to see that it's finished! I assume the Palantir is in your possession, Saruman? There is a way to make hight limits larger on servers but it might cause "traffic" or commonly known as lag. You can find how to change the hight limit by going into the server.properties file but I assume you probably cant but I dont know if your server was rented/bought from another website because a server like yours would be very hard to control on a normal gaming computer. But if you do have the server.properties file you can change the hight. I can easally access server.properties, but as you might not know the max integer of that option is 256. Hmmmm, awfully strange.... I'll look into it. 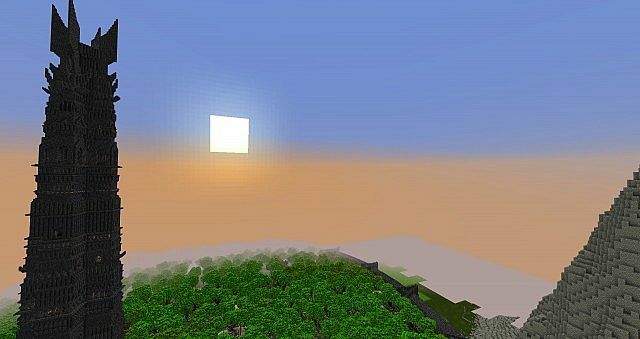 well, on some servers the height limit can go over 1000 blocks. And where do i submit ideas for the rp server? Nice, you were featured on pixelhive!!! Don't you know BebopVox uses this map? 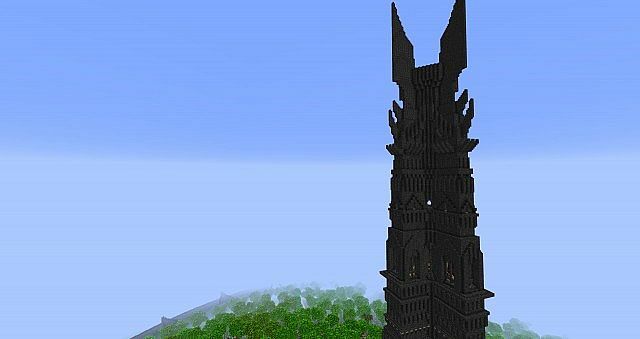 you should totally do Erebor based on The Hobbit! very nice indeed, it looks awesome. True, we did manage to create some mountains, however we will be working on an update making the mountains reach the max hight and surround it for 50% like it's supposed to be. Anyway,WOW THIS IS SO EPIC!!! Diamond+favorite!! !